Become Skullface, a psycho slasher bent on slaughtering campers in this darkly comic ode to 80’s horror! 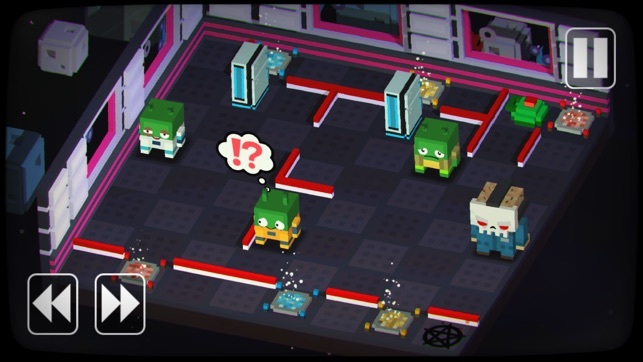 • 11 gut-wrenching “videotapes” for over 140 puzzle levels + more to come! • Traps! Cops! SWAT teams! Land mines! Rotary telephones! Cats! Don’t kill the cats! • Discover dozens of spectacular “Gorepack” kill scenes featuring wood-chippers, lawn mowers, Sumerian demon incantations, and more! • All-new DELETED SCENES revealed for each movie, for optional 'extra-challenge' puzzles! • Now includes a fresh new set of Series 1 iMessage stickers!! • No internet required! 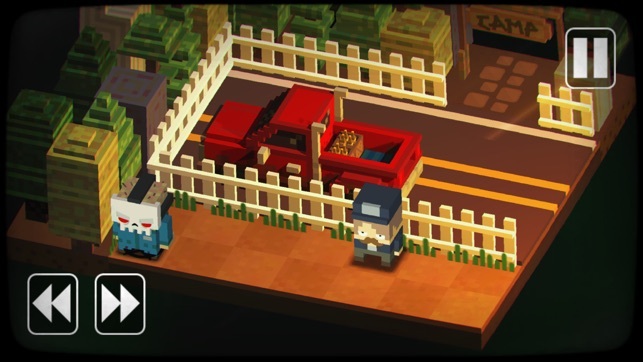 We're proud to present Slayaway Camp as a fully offline game experience. Slash on an airplane, bus, or out in the woods around the campfire! Visit http://www.slayawaycamp.com for tourism info or to sign up for the free Monthly Murderer Club! 1.7.1: Bug fixes and optimizations to improve your stay in SLAYAWAY CAMP! HALLOWEEN HORROR UPDATE! As a special MURDERLICIOUS 'thank you' to everyone for their positive reviews and support, we have launched a brand new update that includes tons of new content! A brand new movie: HELL CAMP full of mind wrecking puzzles, plus the Holy Skullface killer, new kill animations, new bonus kills, new deleted scenes and more! 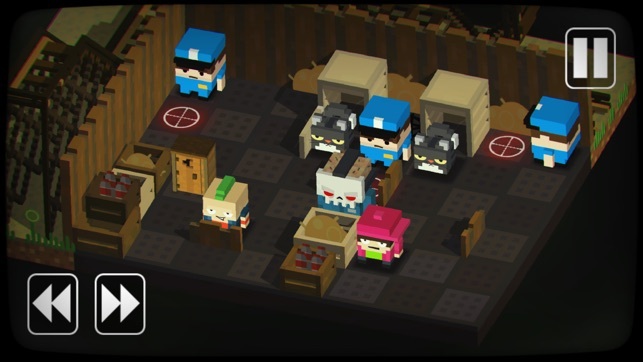 If you're loving Slayaway Camp, don't forget to leave a review! Happy Halloween from all of us at Blue Wizard! • NEW LEVELS! Brand new Slayaway Camp movie: HELL CAMP! • NEW KILLER! Holy Skullface and his "BAPTIZED!" Gorepack. • MORE NEW KILLERS! 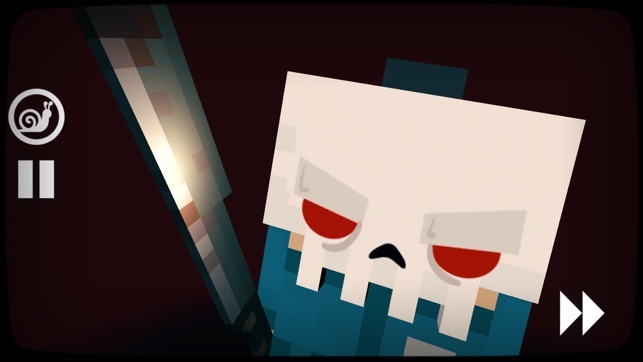 New secret killers added to the mystery box, each with their own super-secret Gorepack! • NEW LANGUAGE! You can now play the game in Simplified Chinese! • PLUS some more bug fixes and optimizations to improve your stay in SLAYAWAY CAMP! 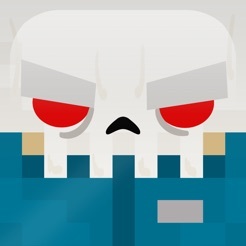 Don’t forget to follow us on Twitter @SlayawayCamp - we’re also on Facebook.com/SlayawayCamp! This game nailed a deadly combo of engaging, challenging, interesting puzzles with over-the-top horror and graphic violence. Granted, said violence is in the form of cartoony block characters, so it’s a sickening twist of comically cute gore. As a pretty “old” gamer, this adult themed game reminds me of the Wii game Madworld, which ended up sucking because the game itself was extremely repetitive and too boring for the gore to save it. 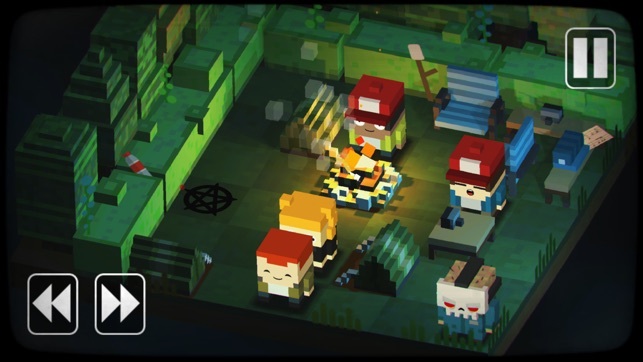 Slayaway Camp instead is a great game packaged in a gory case. It will keep the most serious of us puzzlers occupied for hours and give us a few giggles and satisfying Mortal Kombat type finish moves along the way. The gameplay reminds me of my favorite mobile game of all time, King Rabbit, with cute murderers rather then cute bunnies. If you like this or that, you will like the other. I’ve never felt so guilty busting a smile or chuckle once in a while. What a game. Well done developers! Still loving this. I was afraid the variety would end and the game would get boring after the first few camps. Wrong! You have to play to appreciate, but the police, telephones, swat team people, and light switches make the puzzles practically limitless. The cats are my favorite - game is about killing people, but touch or drown a cat and you’re busted for animal cruelty. This game = epic! In a world where most puzzle games are a variation of Candy Crush (which is really a variation of Tetris,) it’s refreshing to see something completely different, especially if you’re a fan of horror films. 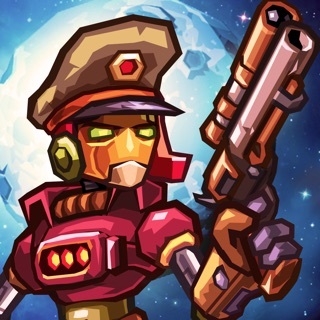 Not only is the main game strategy based, and with no shortage of levels and playable characters, but there’s also the “Faces of Killed” sub game which is more of a mindless time waster. And while I’ve had this app for a while, I never got around to rating it, however, the recent induction of Bob as a playable character was epic enough that I had to finally do so. UPDATE review for updated game. Holy cow this game just keeps getting better. Developer just added more free levels and they rock. Slayaway camp is a hoot. It's just a puzzle game but the hilarious way it's presented is the best part. Even when you fail it's a joy hearing the closing credit song and seeing the credits roll. Different cast just about every time lol. It pokes fun at all those silly 80's slasher movies we grew up on in a way that makes me want to see them all again. Levels are presented in an old video store style that’s so funny.